‘The Accountant’ is an Action/Crime Drama directed by Gavin O’Connor and boasts an impressive cast that all put in strong performances in what is an oddly paced and somewhat messily written script. The film follows Christian Wolff (Ben Affleck) who works as an accountant for some of the most dangerous criminals in the world but has decided to widen his reach to some more legitimate companies, meanwhile Ray King (J.K Simmons) begins to close in on some of the shady business and track down the one known as ‘The Accountant’. The performances across the board were all very strong and dedicated from Anna Kendrick, J.K Simmons, Jon Bernthal, and of course Ben Affleck who delves into his very reserved and complex character to the point where you forget this guy is Batman. Gavin O’Connor’s mark is definitely felt here with the way he shoots very intense action scenes and brings about tension in simple dramatic dialogue driven scenes. Unfortunately there is a lacklustre story attempting to tie everything together where sometimes it is too thin and ambiguous, and others where it tries to throw too much your way and you don’t take much in. The characters you are told to follow throughout this film you do form a connection with and feel as though you understand all or most of their personal stories at one point during the film. They are all fairly subdued in their behaviour and you don’t get any over-exaggerated cartoon-like stereotypes that would take you right out of the seriousness of this film. That is complimenting both the writing behind the characters themselves and the performances from all of the names mentioned above. Ben Affleck plays the most simple yet complex role as his character who has been diagnosed with a form of autism since he was a child so how he interacts with other people, communicates with them, and displays small mannerisms were acted out near flawlessly by Affleck. Anna Kendrick’s character is maybe the only one that was predominantly there as a love interest and to add a little more complexity into Affleck’s character’s life. She wasn’t a bad character and she did have some pretty interesting things to do but occasionally but she was just another disjointed story element like many others. The overall pacing of the film is something to note as being very poorly balanced where you go through long drawn out sequences with nothing of interest happening and just when you have some tension building the scenes race by and are abruptly slowed down right after. Most of these issues arise from the jarring implementation of flashback sequences there to give personal backstory to understand Affleck’s character more or to give more insight into the past of other characters in the film that are more tied into the larger crime investigation plot playing out. Some of these scenes were worthwhile, especially those delving into Wolff’s childhood and upbringing where you get more insight into why he is how he is today. But there are others especially late in the film that just feel like they are trying to fill in the gaps and explain certain things you didn’t previously know before but in the end you don’t really care because they are executed in a slow and dragging manner at times where tension should be building. When you do get the action sequences they really are impressive from the choreography, to the cinematography, to the brutal nature of the violence that is so in line with what Affleck’s character is built up to be. There are elements of a Bourne film in there and even some stuff you’d expect to see in a Taken film (the good parts), but woven together with a darker tone and more violent protagonist it does feel like its own thing. One very strikingly positive aspect of the film is the way it handles Autism in the film in a way that came across as being very authentically represented. There are many messages explored throughout the film and it tends to not hold back when confronting some of the struggles people with autism live with and the reactions by those around them. It does tread a little trepidatiously to not go to an overly dark place and have the viewer feel uneasy, but some of the events can still be confronting or maybe eye-opening is a better word. I really enjoyed the early scenes and flashbacks exploring Wolff’s past with autism and how it shaped the person he had become now. Comparing those early scenes with the mannerisms you see him express later in life add a lot to his character and the authenticity of the behaviour only adds to the film. 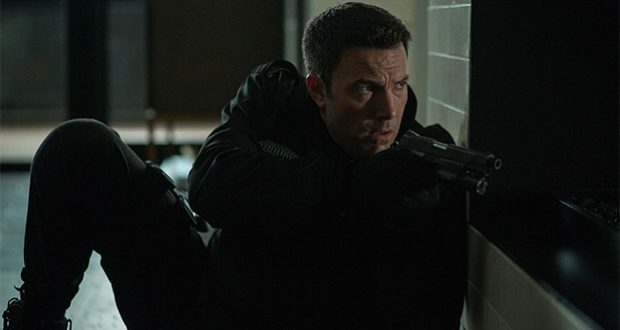 So in the end ‘The Accountant’ is a Crime Drama that has many positive elements that will have you appreciating what the film accomplished throughout but is also deeply flawed from a storytelling standpoint and in terms of the overall pacing. The performances, the characters, the action, and the representation and exploration of autism are all big positives that push this film above the half way mark and it could have been better if the plot and execution was handled better. Next ‘MOANA’ (2016) MOVIE REVIEW – Walt Disney Animation Studios….. Need I Say More?